French Model Railway: The reality of DCC!!!! Initially, I'd envisaged simply buying a whole load of French model trains, building some track and then running them just like I did when I had a train set as a child. 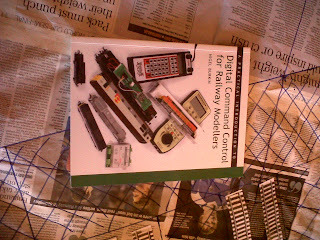 But then I began to hear reports about a revolutionary way of controlling model trains: Digital Command Control or DCC. With DCC, there is, inside the body of the locomotive a little computer chip which receives instructions from the controller's handset eg forwards/reverse/faster/slower. Also, instructions to turn on lights or make engine sounds can be transmitted from the handset to the computer chip. Initially I rejected the idea of DCC with the same prejudice with which I'd originally rejected the idea of owning a mobile phone or a using word-processor or a PC or indeed writing a blog. 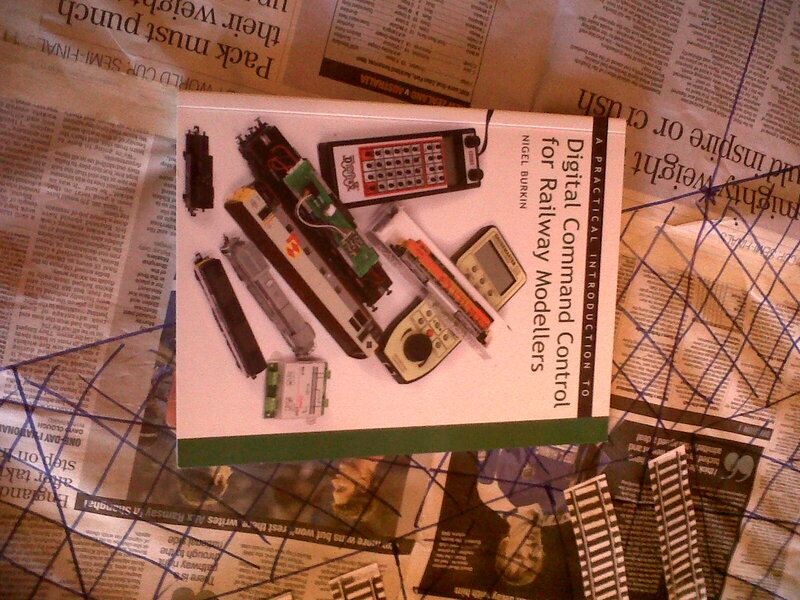 But, it seemed that DCC was the way to go. Unfortunately, there was a problem. The problem was that I had already purchased non-DCC locomotives. To adopt DCC would involve me in taking apart the locomotives and trying to install a teeny silicone chip in each of them. 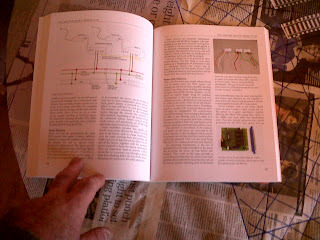 Crikey, I'd have to re-train as a technician in order to fit and solder these chips into the locomotives. We're talking months of intricate work here. At the moment I'm not convinced that I have the skills to open up the models in the first place and still be able to put them back together correctly, let alone doing anything with a soldering iron once inside them. Anyway, I have purchased the DCC Bible.